It is also called Lantan, it is made through burning up the good quality Jurassic coal produced in Shenfu, dong sheng Coal field. structured as a block.General more than 3mm size, the color appears light black. The semi coke has features of high fixed carbon, high resistance, high chemical activity, low ash, low aluminium,low sulphur, low phosphorus, can instead of metallurgical coke, smoke free block and be used in the production of calcium carbide, ferro alloys, ferro silicon, silicon carbide, silicon metal, silicon manganese, fertilizer,etc. 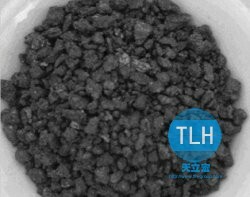 It becomes an irreplaceable carbon materials, it is widely used in chemical, metallurgical, smelting, and gas making industry. of blast furnace and so on) of iron manufacturing, manufacturing iron alloy calcium carbide and so on. It can also be used in chemical fertilizer factory to produce gas and cement and so on. Company： Ningxia TLH Group Co., Ltd.
Ningxia TLH Group Co., Ltd.All rights reserved.